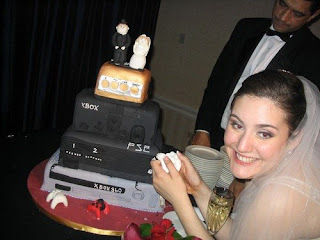 Wondering what to do about your groom's cake? 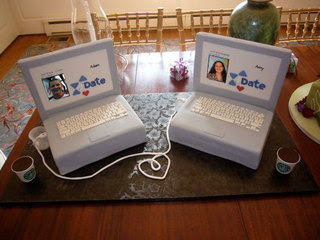 Well, if your sweetie's a gamer, puzzle-lover, or sci-fi fanatic, you're in luck! 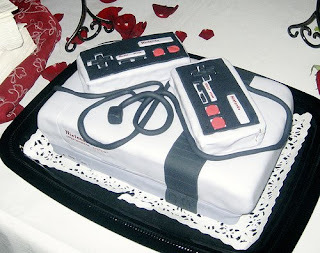 For some reason geeky cakes are all the rage with today's grooms-to-be. Take a look. 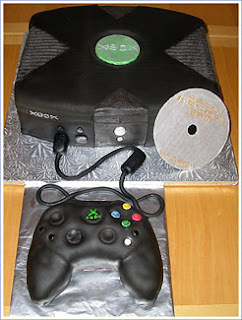 This next one takes the cake. 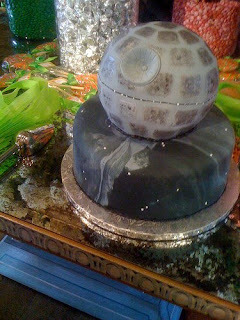 It's an edible version of the Death Star. 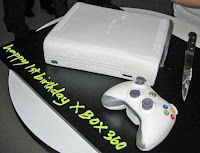 The picture is courtesy of Gizmodo. 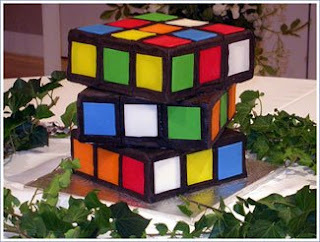 Tell us about YOUR creative ideas for grooms cakes! Just click on comments. 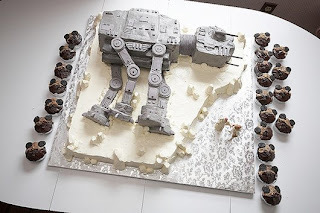 Those grooms cakes are awesome!